There’s nothing like playing pool on your own table. A beautiful and well-built table from PoolTables.com will provide your family and friends with years of enjoyment. 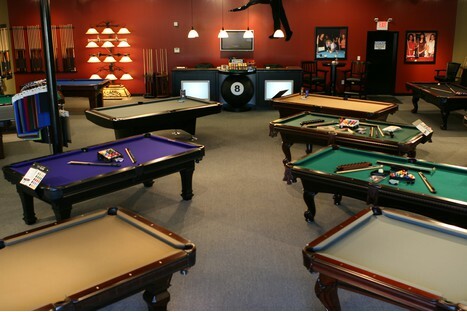 Pooltables.com is the only online billiards retailer with a national retail showroom presence. Visit one of our five fully stocked retail showrooms around the country, where you can see the quality of our Spencer Marston 100% hardwood pool tables firsthand. Our experienced and knowledgeable sales staff will help you select just the right table, furniture and accessories for your home game room. We’ll ship your selections to all 48 US states and will arrange table installation if needed. We invite you to compare our quality, price and service. We look forward to your visit!